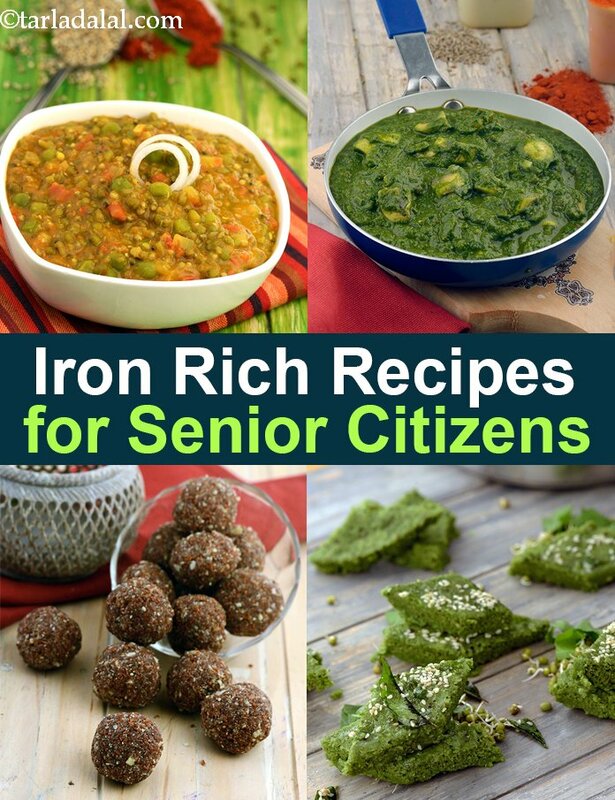 Iron deficiency can lead to anemia in many senior citizens which make them end up feeling tired, weakens the immune system and causes issues with cognitive function. Due to this reason, it is of utmost importance to consume a diet rich in iron to help prevent anemia and related symptoms. With increasing age, acid production in the stomach decreases which leads to low absorption of iron. Therefore it becomes even more important to have iron rich sources included in your diet in every meal including breakfast, lunch and dinner and mid meals throughout the day. Green leafy vegetables such as spinach and amaranth, cauliflower leaves, fenugreek leaves. Beans, pulses and dals such as rajma (kidney beans), peas, black eyed beans (chawli), chickpeas, matki, moong dal, moong etc. Dried fruit such as figs and apricot. Always include Vitamin C rich foods during your meal such as lemon juice, orange juice or amla as this improves iron absorption. Remember to restrict having tea or coffee during your meals as this will hinder iron absorption. Try our iron rich breakfast options such as Moong Dal and Cauliflower Greens Appe, Jowar Upma to add a healthy dose of iron to your meal. If you want options that are soft and easy to chew then try Bohri Khichdi and Bajra Whole Moong and Green Pea Khichdi. If you would like to enjoy a light meal of soups, do try Spinach and Chick Pea Soup and Whole Masoor and Chawli Soup.